I would like to inform you our Hot offer for trimming potentiometers!!! If you are interested in,please send me emails for more details.We can offer favorable prices,good qualities and fast lead time… If you are looking for it now,I am sure we will be your good choice,waiting for your inquiries. Our hot offer is as below. We also deal in PCB, LED, Capacitor, Resistor, Zinc Oxide Varistor, Fuse and Thermostat. 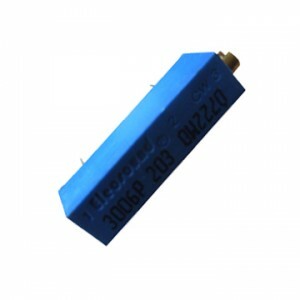 Elecsound Electornics is a manufacturer for below range of cermet trimming potentiometers, Cermet type and WireWound type. the range as 3006, 3262, 3266, 3262, 3314, 3313,3224, 3269, 3296, 3299, 3303, 3306, 3309, 3318, 3323, 3329, 3362, 3386, 3540, 3590 and 105H. We offer “Elecsound” brand with competitive price, very speedy delivery and very high quality. And our products are well crossed to Bourns Brand. for small qty we hold stock and for big qty lead time is 8–12 business days only. Here is our ET3006 as below. We have below Standard items for ET3540 22mm Wire Wound Potentiometers.